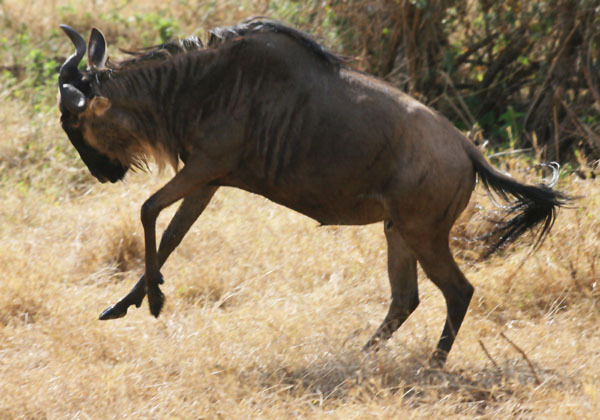 Albert the wildebeest thought he was a little lion. He told all his friends he was the king of Serengeti. One day he saw a group of baby hippos and he roared at them. The hippos ran to their mummies and cried like little puppies. Albert felt very proud. Another day he saw a group of baby zebras and he roared at them. The baby zebras ran away like little chicken. Yet another day he saw some baby buffaloes and he roared at them. The baby buffaloes screamed and ran like little monkeys. Finally a day he saw a hyena, he thought it looked smaller than a baby hippo, slower than a baby zebra and weaker than a baby buffalo. Albert roared like a baby lion, because he thought he could bully him like the others. 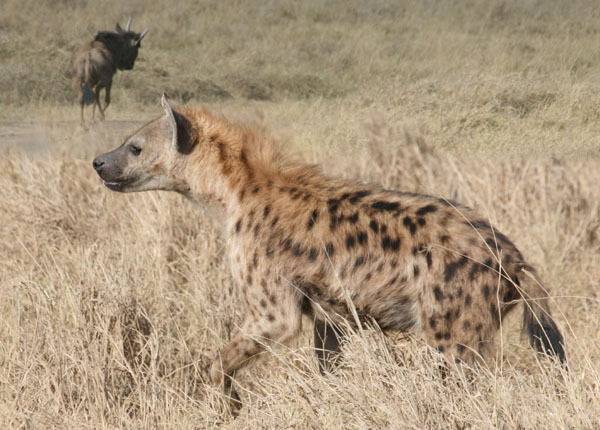 The hyena turned around and chased after little Albert. Poor little Albert shouted for help but found no friend. Eventually, he was brutally slaughtered and became the lunch meat for the hyena. Moral of the story: It is OK to bully the weak, but not those who bite.